Tagged with Ecole Hotelière de Lausanne, hospitality. 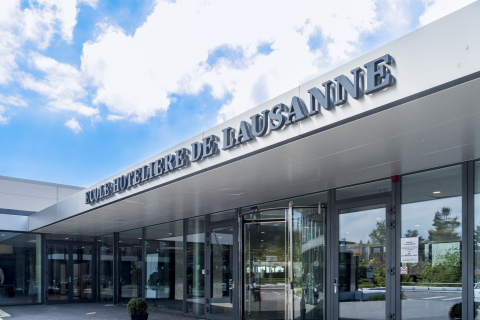 Switzerland’s Ecole hôtelière de Lausanne has taken the top position in the 2019 QS World University ranking for Hospitality & Leisure Management Universities, after celebrating its 125th anniversary and earning a highly coveted Michelin star. The EHL Group, which includes EHL, Swiss School of Tourism and Hospitality and consulting and executive training company EHL Advisory Services was one of three Swiss hospitality & leisure management institutions to make the top five in this year’s rankings. While second place went to the University of Nevada in Las Vegas, Switzerland’s Les Roches Global Hospitality Education took out third and Glion Institute of Higher Education took the fourth position. The Hong Kong Polytechnic University situated on China’s south coast rounded off the top five. In addition to scooping the number one spot in the QS rankings, last month the Michelin Guide awarded a star to Berceau des Sens, Ecole hôtelière de Lausanne’s training restaurant. EHL Group CEO Michel Rochat reacted to the latest news by describing it as “an important indicator that we are doing things the right way”. “As we celebrate our 125th anniversary, we celebrate a unique heritage that enriches all our programs, from our professional training in our Graubünden school SSTH, to our university programs here in Lausanne. “The title of world number one is an honour and a responsibility that helps us uphold our promise to open the doors to the best career opportunities for our students,” he added. Olivier Roux senior managing director of EHL Advisory Services added: “Switzerland remains an example in terms of academic excellence, competitiveness and innovation. The full 2019 QS World University ranking for Hospitality & Leisure Management Universities can be seen here.